One of the most important things in life is to take out time to exercise. For that we get gym memberships that sometimes cost way too much. Some people are so busy in their day to day activities that they cannot frequent a gym, so they buy the equipment of a gym and set up a exercise space for their own homes. Unfortunately, dishing out thousands upon thousands of dollars for heavy gym equipment for your own home is not a cheap process. And even those who can afford them will have to face a lot of inconvenience bringing in that heavy equipment and having to maintain it all the time. 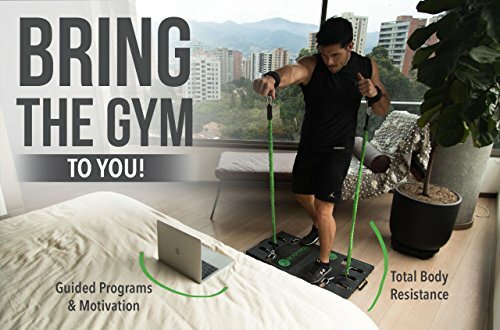 Fortunately, there is now a means to bring in all the benefits of a gym into your own house, without having to pay thousands of dollars or caring for numerous machines. 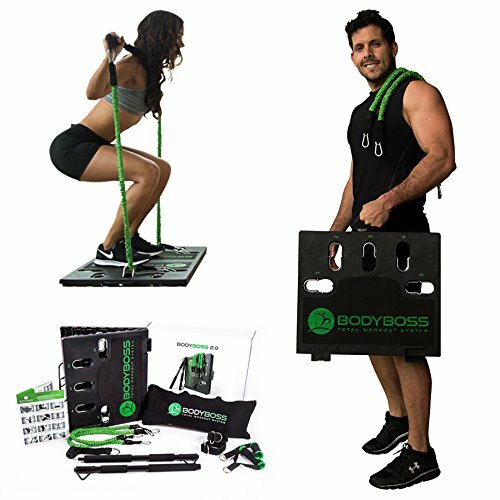 Introducing the Body Boss Home Gym 2.0 that brings in all the features of a gym into one portable machine. With this admirable and amazingly affordable machine at your home, you will not have to worry about making it to the gym anymore, because the Body Boss Home Gym 2.0 brings it all into one place and inside one machine making it possible to undergo up to 300+ different kinds of exercises. 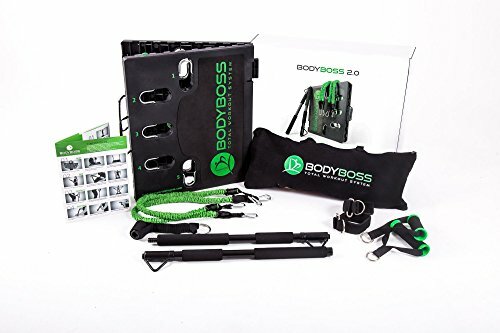 In short, Body Boss has taken in various exercising methods and concentrated them into one revolutionary product with their Home Gym 2.0. It comes with a 7 lbs platform that is known as a VectorFit base that is extremely compact, portable, and can be opened and closed at will. The design is a Space Saver and comes at dimensions of 22.5 x 18.75 x 4.5 inches of length, width, and height respectively. When you take out the compact designed base, just flip it open and you will see it having anchor points in different strategic areas on the base where you can clip in flexible resistance straps that allow you to try out different forms of exercise. The anchor points can be flipped up by 180 degrees to make it possible to clip in the resistance bands. The bands itself have a weight of their own and the more you attach the resistance bands to the anchor points, the more strength you’ll have to exert to pull the weights. The bands themselves can be stretched up to 7 feet in length. The resistance bands are connected to handles or wrist and ankle straps that allow for toning of core muscles of the body. You can also connect them to a workout bar that can be extended in length, and it will mimic the effects of a rod and dumbbells. The ankle and wrist straps allow the user to train in cardio boxing, try bun blasters, and a horde of other exercises. You can use the bands to perform high position workouts such as lat pull downs and tricep exercises. Furthermore, the Body Boss Home gym 2.0 makes it possible to undertake free weight training, muscle tone training, yoga exercises, pilate exercises, and so much more. So with all things in consideration, let us weigh the pros and cons of the Body Boss Home Gym 2.0. The compact, portable, and extremely convenient nature of the Home Gym 2.0 makes this a revolutionary thing to own. Never again will you have to worry about making it to the gym or dishing out so much of your hard earned money for memberships and hard to maintain machinery while you own this beautiful thing. A machine that surprisingly brings to you all possible workouts of a gym in one single place.